Drink only the best tequila. Any tequila that is 100% agave will do. The white tequilas are the most pure and are less likely to give a hangover.However, for flavor, I like the reposados, the darker tequilas that have been aged in oak barrels usually for 18 months. My favorite tequila is Don Julio Reposado and it has been very generous to me over the years. Treat tequila like a fine cognac. It is made for sipping not for shooting (unless you are 20 years old and are in Carlos and Charlies. Been there, done that. YUK…glad I survived.) Now a days, I enjoy sipping and enjoying my tequila poco a poco. I don't use limes or sangrita, just a nice sip every few minutes. Just enough to enjoy the flavor. Sometimes I like to drink my tequila with a beer and that is refreshing. Also, they mix well in the belly. Now, how do I make my margarita? 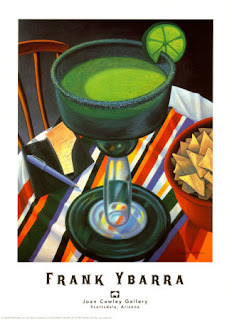 I usually start my margarita mixing the tequila- one portion, the controy- one portion, and the lime juice- one portion. Then I taste for flavor. This can vary depending on how tart the limes are. 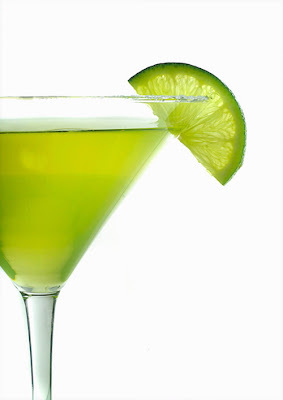 If the margarita is too tart, add some more controy, but be careful. Poco a poco. 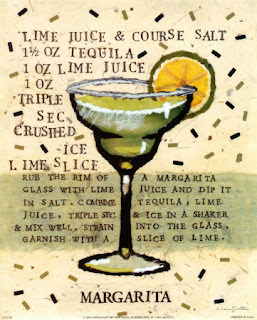 1 part good tequila, white tequila is preferable.1 part lime juice, fresh squeezed limes only.1 part Cointreau or "Controy,"
If you like Salt, run the edge of a cut lime around the rim of the glass, then dip the rim in a plate of salt. The glass is very important. I like a stemmed glass that has a cone shape. The larger the better. Here in San Miguel they blow the large thick coned shaped glasses and they work best. 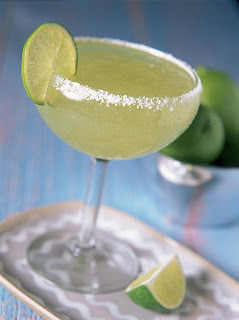 The reason is that the ice melts slowly and as the ice melts and the margarita goes down, it maintains a perfect consistency of cold margarita without getting watery. That is important. Nobody likes a watery margarita. Good to the last drop is my motto. Now, you probably wonder why we started of with UN MARGARITA. This is because tequila is a masculine word, and so is margarita.